August is Family Fun Month! This makes it the perfect time to squeeze in a little extra summer fun! Check out these fun family activities in Leesburg. Visit Skate World Leesburg! It’s always a great time to visit our Leesburg skate center, but if you’re looking for something extra special, then bring the whole family out on Saturday for All You Can Eat Pizza Night. This fun Leesburg event is held Saturdays from 7-10 pm. Admission is only $7.50 and you get FREE AYCE pizza from 7-9:30 pm. Enjoy a family lake day. We have quite a few wonderful lakes in the area to choose from including a trip to Lake Apopka or Lake Harris. If your family enjoys fishing, then we recommend Lake Harris for all its excellent bass fishing spots. Host a family movie night! This is a great option for making your own fun at home. Spruce up a family night-in with movie theater candy, snacks, and sodas. A little extra effort can transform another night at home into a night to remember. Don’t let the fun end with summer! As the school year progresses, don’t forget to make time for family fun. 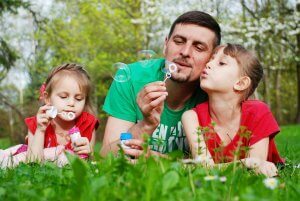 Quality time spent with the whole family is important for kids and parents alike! Plan a regular skate night for your family to get some exercise and spend some quality time together, and make sure to check out our schedule for fun special events like our All You Can Eat Pizza Night or our weekly Saturday Matinees.